When the Motor Parkway was first built in 1908, cedar posts were placed along sections of the Motor Parkway's right-of-way to keep automobiles which have not paid a toll off the road. 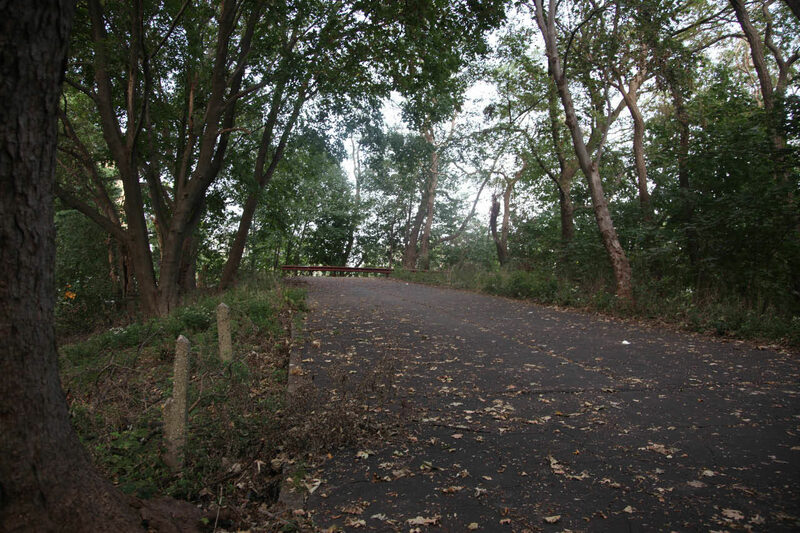 During the summer of 1921, the Motor Parkway began replacing 1,000 of the cedar posts with "reinforced concrete fence-posts". 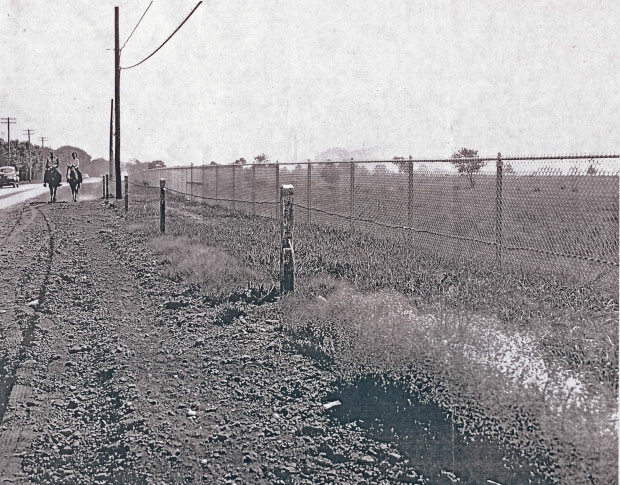 By 1927, another 5,000 concrete posts were received and installed throughout the 44-miles of the Motor Parkway. 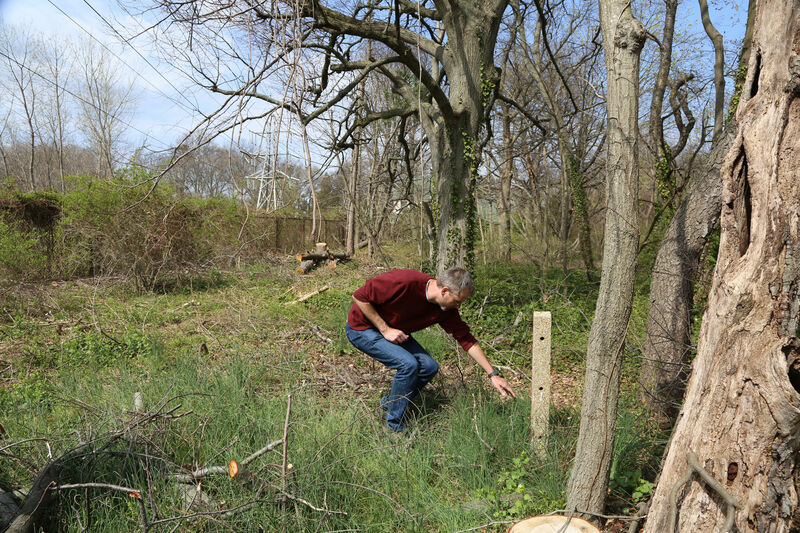 There are still over 750 concrete posts in place along the 44-mile Motor Parkway right-of-way. 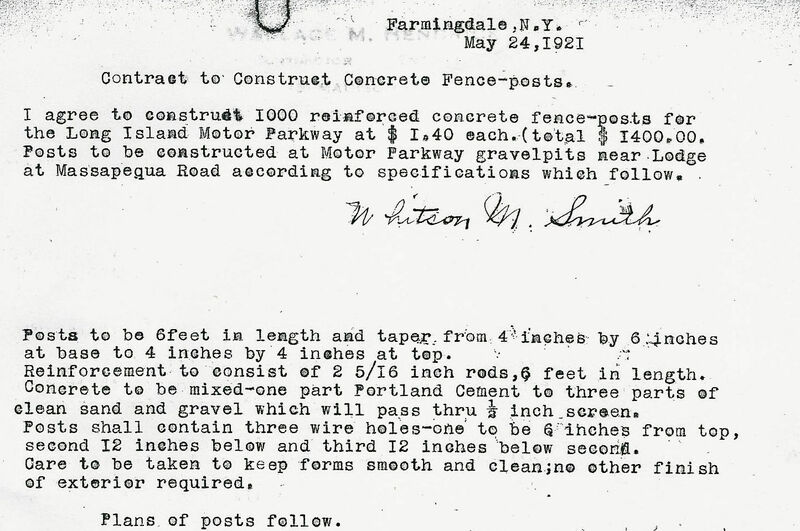 In May 1921 Whitson M. Smith received a contract to provide 1,000 reinforced concrete fence-posts at $1.40 per post. 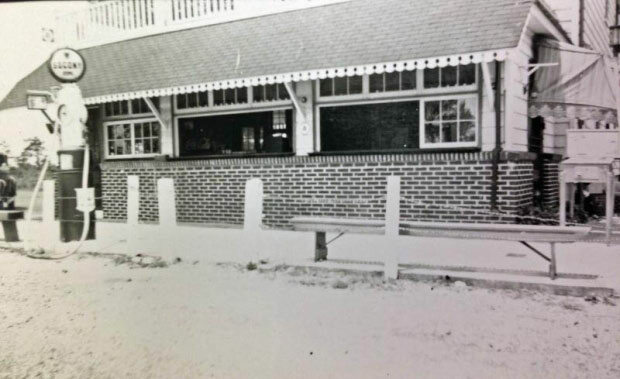 The posts were six feet in length with three wire holes. 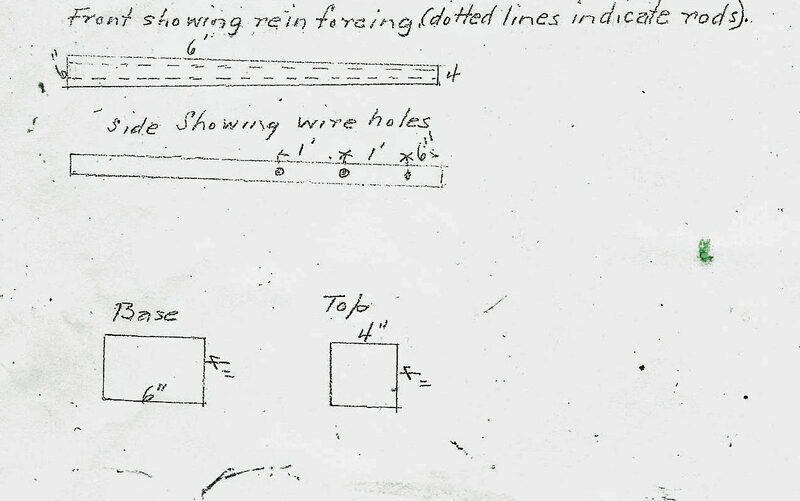 The posts were reinforced with two rods. 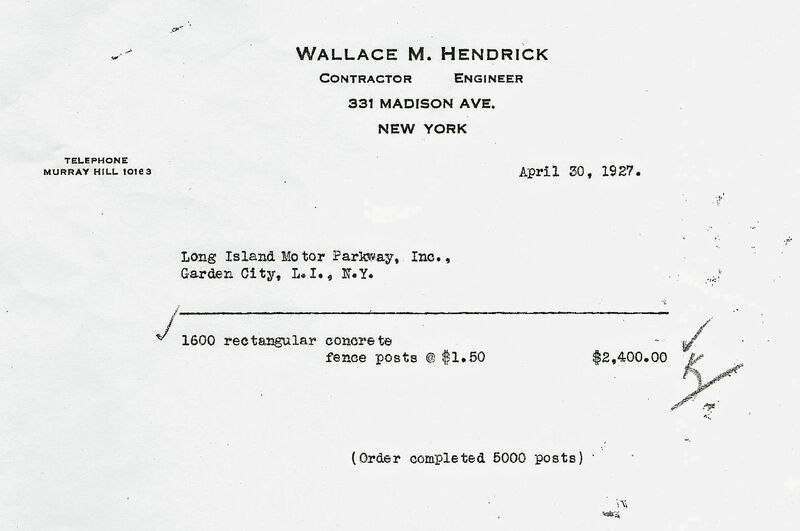 In 1926 with the extension of the Motor Parkway to Horace Harding Boulevard, an order of 5,000 concrete fence posts wer built by Wallace M. Hendrick for $1.50 per posts. 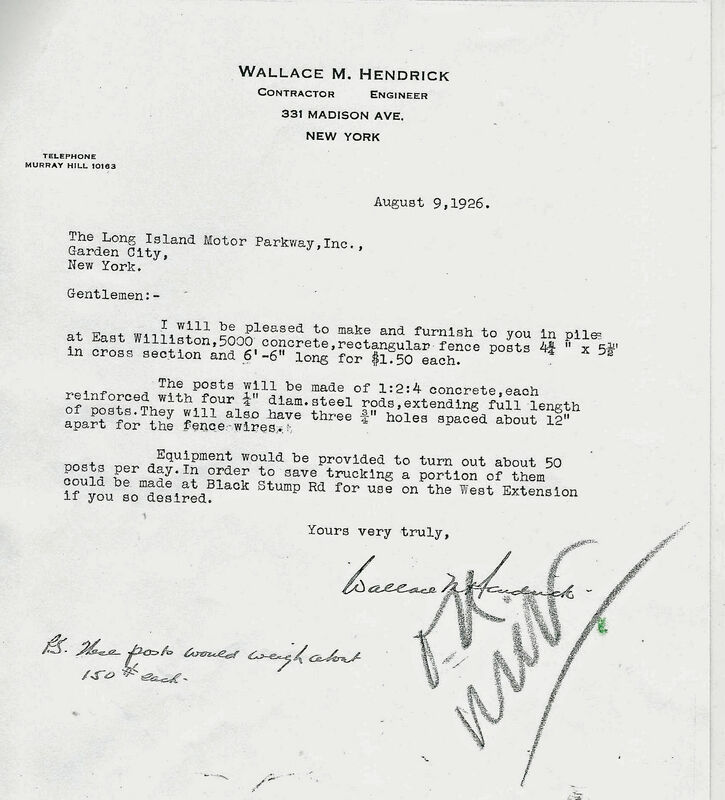 Note: The contract was approved by WKV (William K. Vanderbilt, Jr.). Confirmation that Hendrick's order was completed. 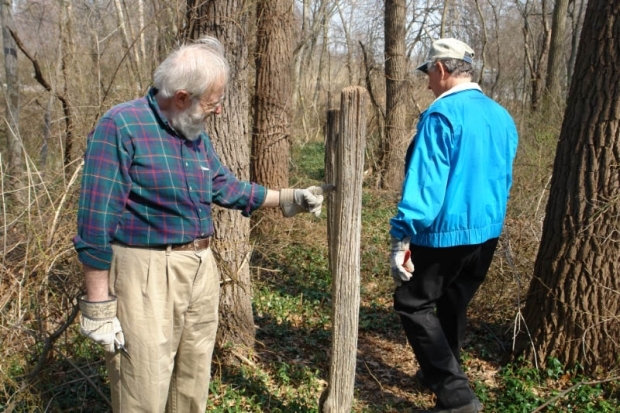 Sam Berliner III and Al Velocci with original cedar posts in the Battle Row Campgrounds in Old Bethpage. 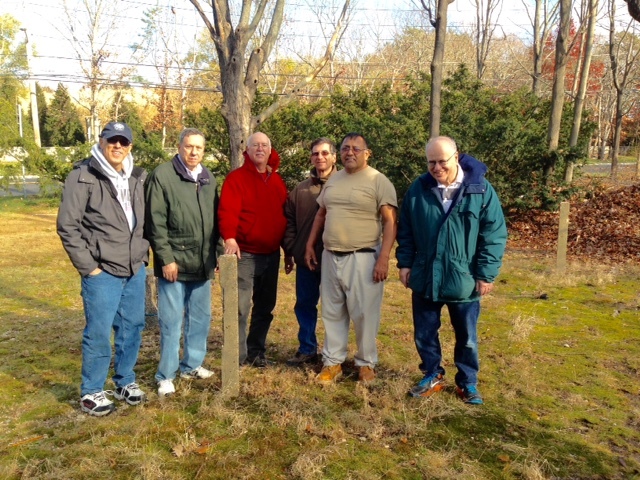 Cedar posts at the Massapequa Lodge in Plainedge. 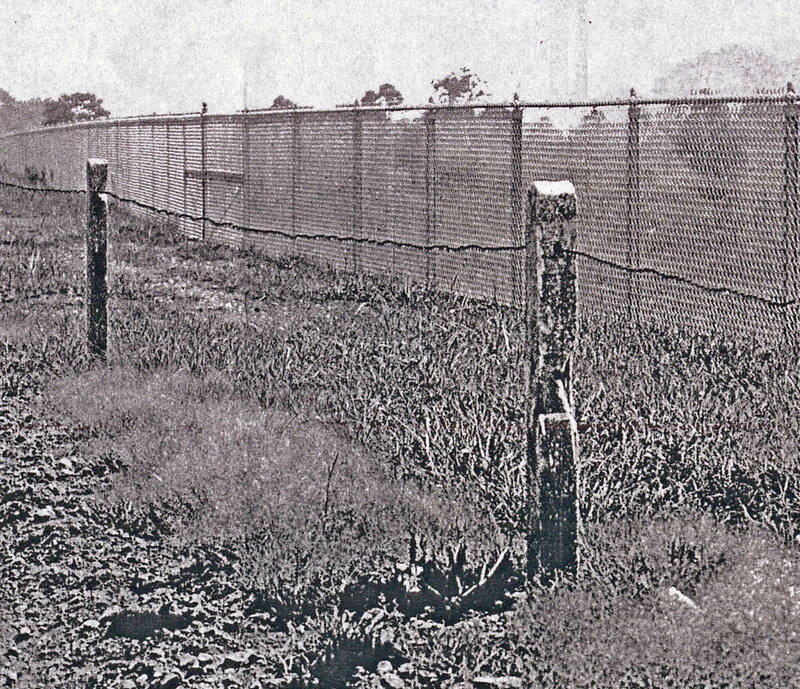 Over 100 years later, these concrete fence-posts still have three sets of original twisted wire. At the end of the Current Brooklyn-Queens Greenway path near Winchester Boulevard. 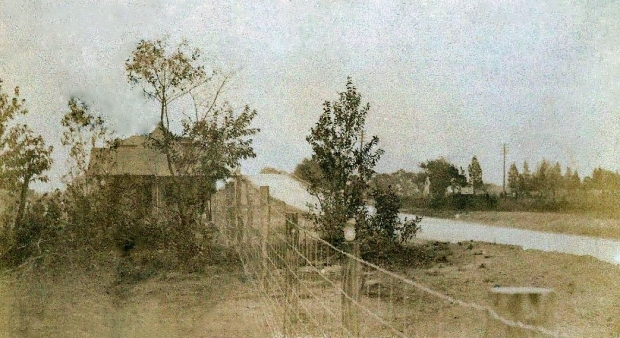 West of Old Country Road at the location of the Motor Parkway highway bridge. Steve Lucas and Mike Cain near Clinton Road. Greg O. gets a closer look. 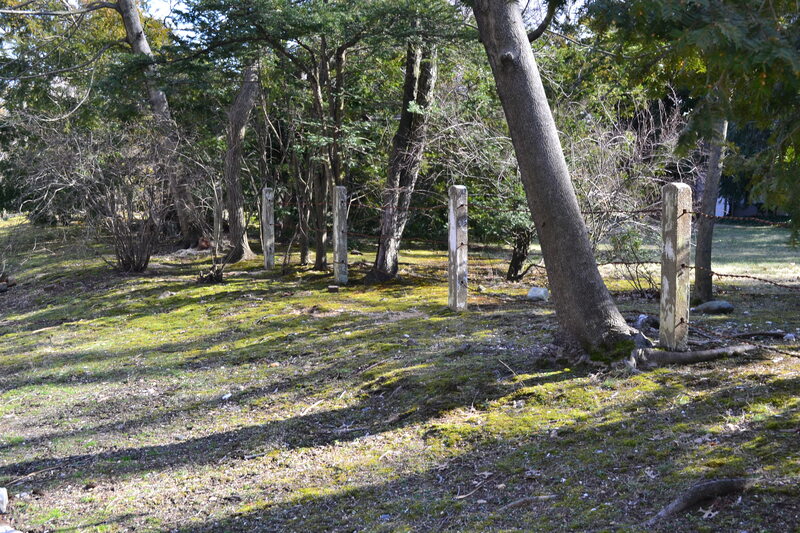 More posts at the original location of the Garden City Lodge. 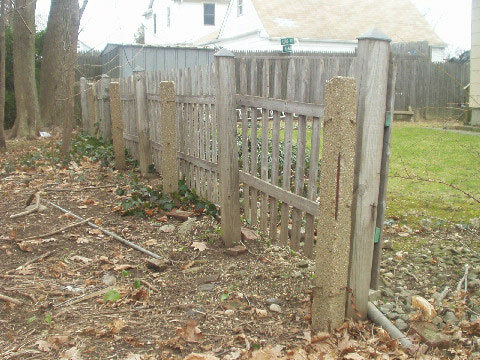 Remnants of concrete fence-posts on Salisbury Park Drive in East Meadow in the 1940s. Posts in front of Ellen Foran's Halfway House Tea Room in Bethpage. 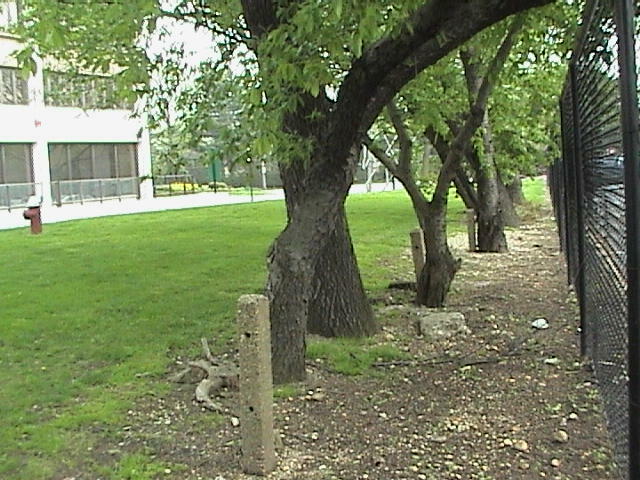 Posts still remain at the location. Courtesy of Art Kleiner. 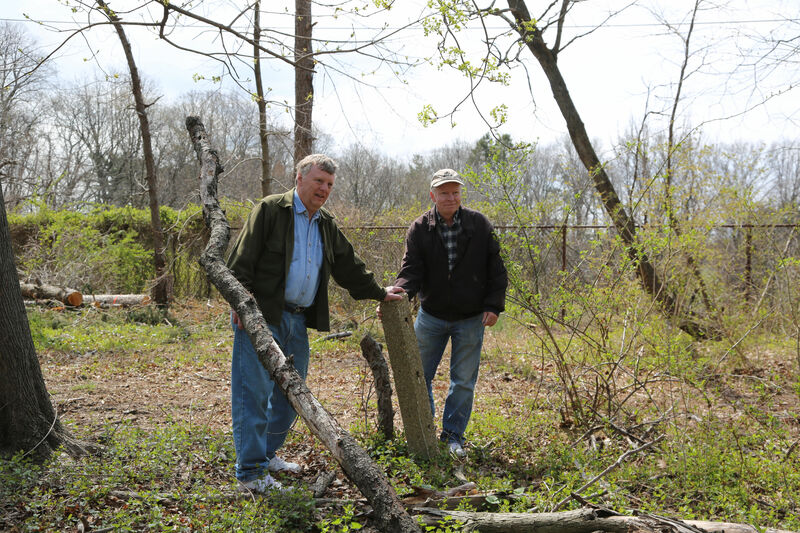 Art Kleiner and his friends found "concrete" in Colonial Springs. There’s a concrete post in the backyard of a house just southwest of the corner of Blacksmith Road and Crocus Lane That’s in the front of the development that caused some sort of controversy when it was in the planning stage. ( It’s just around the corner from where the tennis court was at the L.I. Country Club Airport.) The post used to be more visible, standing close to a fence, but another fence has been added within the last few months, now making it harder to find. Being that most cedar trees are naturally resistant to decay and insects, that’s probably why this type of wood was used as the original boundary posts. The older linemen I used to work along with said that LILCO originally purchased wood poles made from cedar for that exact reason. Wood poles today are basically made from common pine trees, and saturated with preservatives. Still looking for that house with the concrete posts, thanks for the extra hints. Put those in your post and wire (or slat) them! Where did the 750 posts remaining figure come from? I’m curious. Did someone actually count them? This has Art written all over it. LIMP trivia: what Nassau county town has the most remaining posts? In my mind Queens by far has the most remaining posts but I’m curious if anyone actually knows the answer to this. Are there any stats on remaining posts? Where they are and how many etc? Dave, my best guess estimate. Time for a Sammy & Dave concrete fence-post survey! 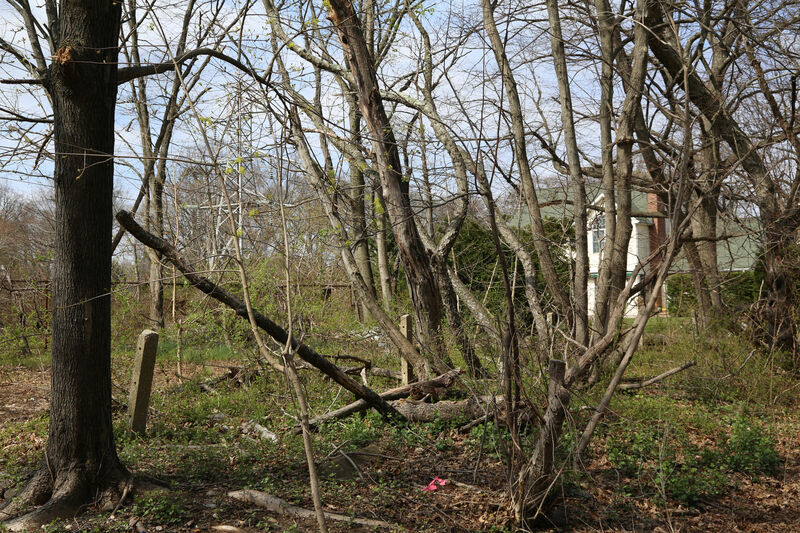 I find these posts to be one of the most interesting remnants of the Motor Parkway. The fact that so many survive intact today is remarkable. A few of them we saw at Clinton Road looked like they were brand new and installed last week! Great post info Sam III. Thanks for the links. I’ll pass on the post count offer Howard! Lol. You’re the retired one! You go do it!! My guess is 750 is a bit high. I would wager we are in the 400-500 range. I think in Nassau Garden City has the most remaining posts. We do love finding the unknown posts. We’ve found a few I’m sure nobody knows about! There also are many of them lying in the weeds in various locations.